Non-slip shoes have been there for a while but mostly used by manufacturing or constructing workers. They often work on wet or slippery surfaces caused by water or oil. These days, more and more people look for them that makes the demands for these specially-designed shoes increase greatly. Because they make their life much easier! I once worked in a restaurant where they used flawlessly smooth and polished floor. And, trust me, I was struggling all the time. The floor surface was just a bit too slippery to walk on firmly and quickly. And I bet there are many more ladies and fellas out there also struggling like I did. So, if you are looking for some good Non-slip Shoes Brands, you came to the right place. Because I will show you not just good but the TOP brands (today updated!). Here are the 4 top brands on my personal list (and I’m sharing it with you!). Skechers deserves to stand on top of this top list. You can find almost any slip-resistant shoe models that you can think of here because they offer A LOT! 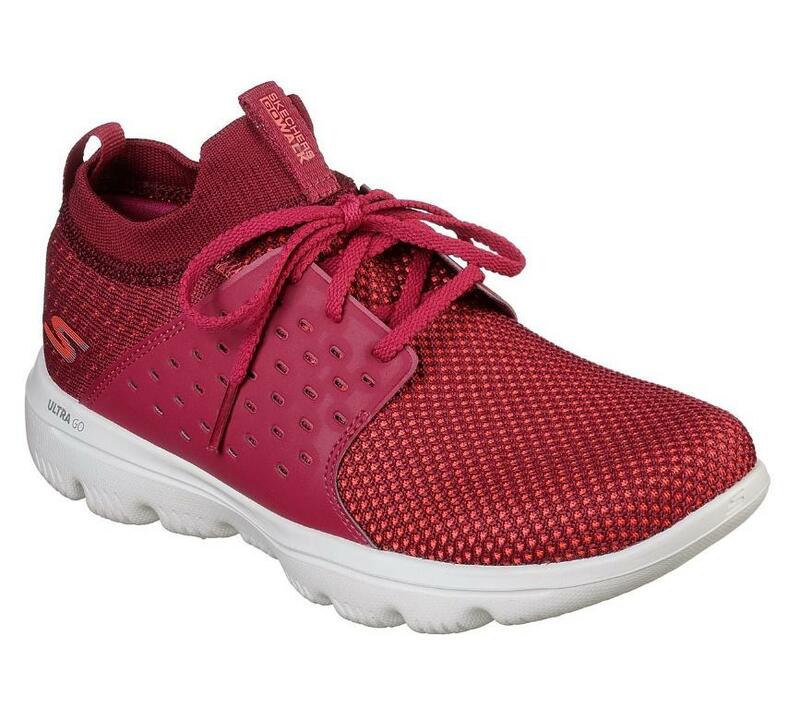 Quickly browsing Skechers’ Official Non-Slip Shoes Sites, you may find tons of models that fit any activities during your day. Skechers just know the best way to make their shoes look nice and usable in every job. 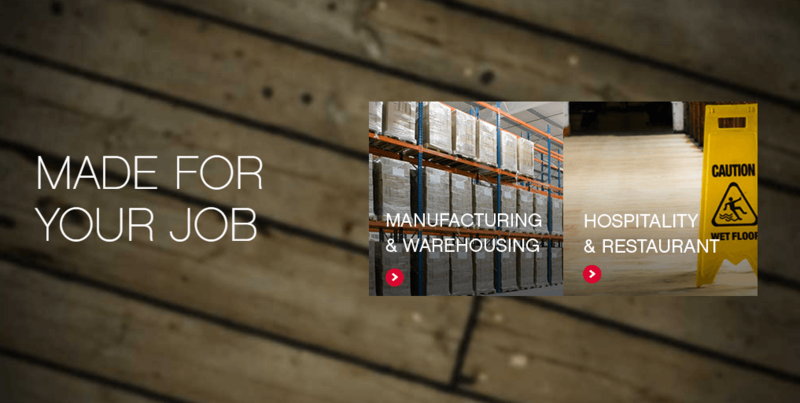 Restaurants, construction, warehouses, training, running, walking and many more. Literally everything! 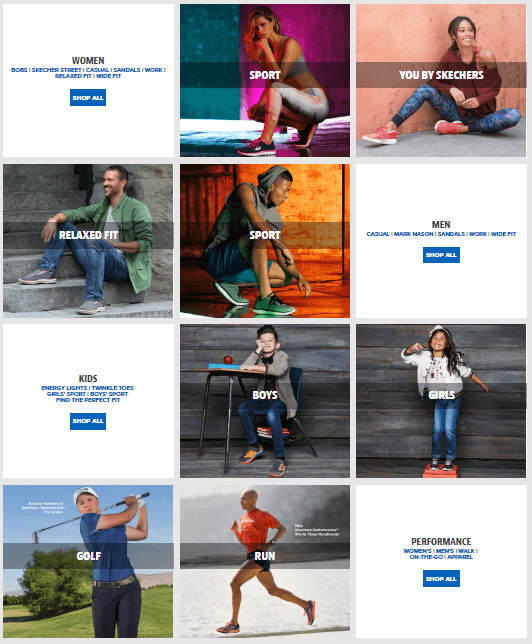 This gives Skechers a solid 5/5 for model diversity! 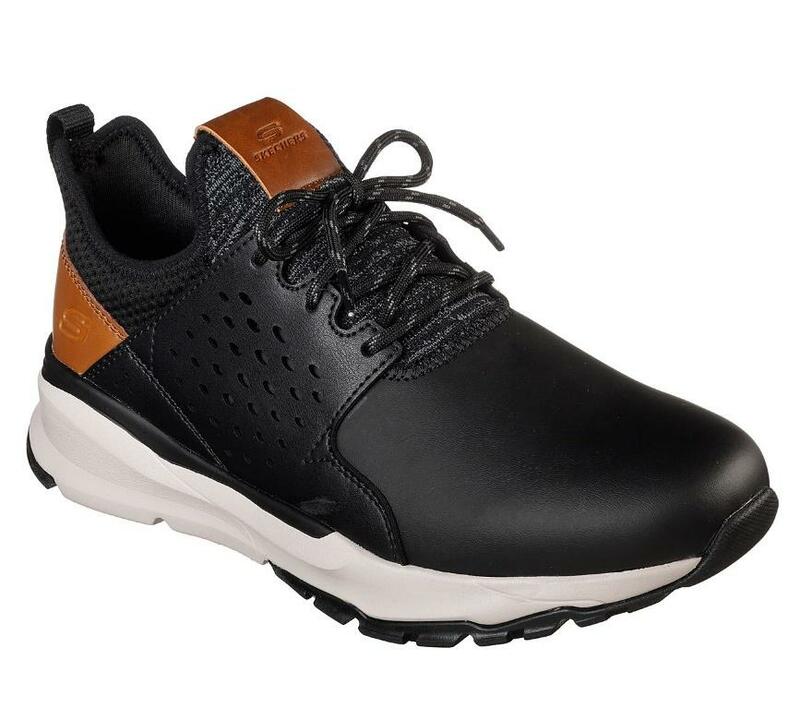 So if you prefer having a full collection of shoes to use in anything rather than buying each pair from different sellers, Skechers is the absolute choice. Talking about slip-resistance, most Skechers’ shoes’ soles are made from foam. This brings a soft and lightweight ability to their shoes. You will hardly feel that you are wearing something but just a super comfort on your feet. No matter how far you go or how long you wear them in a day, the feeling is consistently superb! The only one downside of the soles is that they don’t last long if get soaked in water or oil for too long. They are basically foam. Treat them well. Despite that, Skechers is still the best, especially considering overall shoes design and quality, and price. You will have tons of choice including various styles, colours and features when spending just around $60.00 to $80.00. All are well-made with strong materials (leather or fabric) cautiously knitted and sewed, which can last for years if you treat them well. Skechers literally gives EVERYONE a good deal to choose their own non-slip shoes. Hey! Any fellas and ladies, and even kids, if you are looking at this, mark Skechers a big star because you will definitely want to buy some shoes later (and soon)! 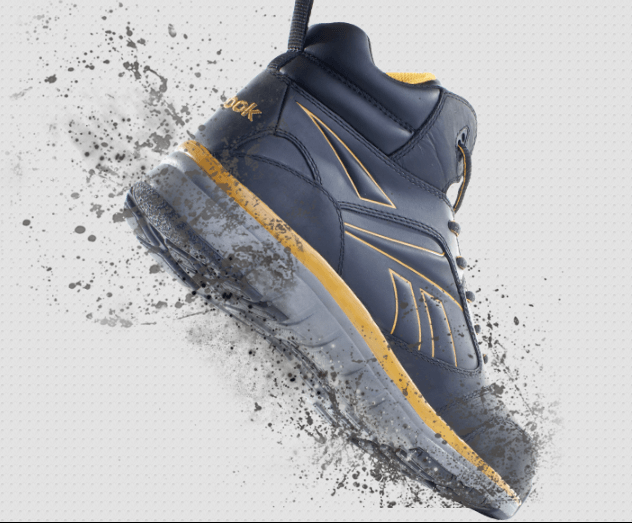 Talking about slip-resistance, “for oil and wet surface, no shoes can match Reebok’s slip resisting footwear” – Reebok, 2018. Having 2 pairs of Reebok shoes (in addition to 3 other Skechers), I can state that Reebok’s shoes give an unrivalled slip-resisting ability. 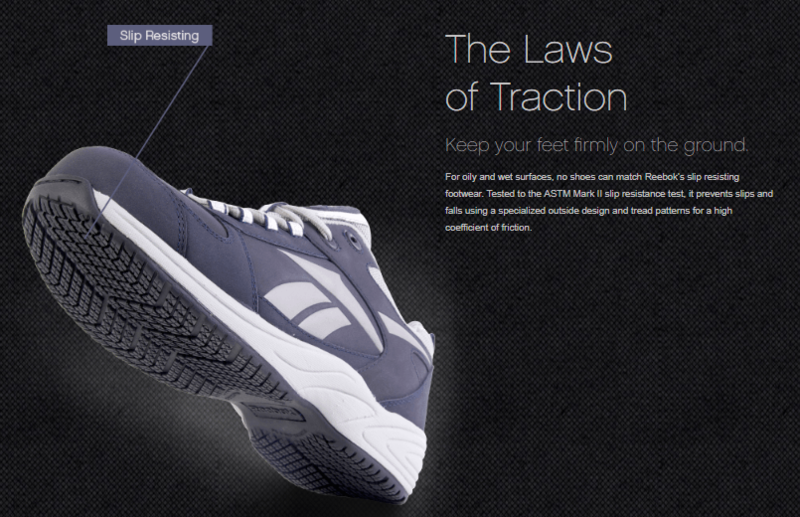 Their so-called Laws of Traction, “using a specialised outer design and tread patterns, offers a super high coefficient of friction”. I may not really understand what a coefficient is (it’s Math and Physics), but I do understand how Reebok slip-resisting shoes keep you firm on the ground. Sometimes I cannot even play run-and-slide games with my friends because my feet just stick to the ground no matter slippery it is. I strongly recommend Reebok to ones who do manufacturing jobs or work in a warehouse. The shoes are strong enough and highly slip resisting to withstand such environments. Ones who work in restaurant or hospitals, Reebok may be a bit too much for you (look for a Skechers!). Athletic and other fashionable models. Nonetheless, you will have limited choices since their styles are relatively similar. This might be a very light drawback but it doesn’t make Reebok not the second best brand! At least to me. I truly love Reebok! One thing that might upset you a bit is their offered price. They are quite high, I must admit. Ranging from almost $100.00 to $150.00, Reebok non-slip shoes may cost you a considerable amount. Despite that, you CERTAINLY WON’T REGRET once you already made up your mind! Reebok shoes will give you a strong feeling that they will last forever! And they work very well, really! Grab one and you will absolutely look cool in them! Marrell is very good. But not for everyone. To backpackers, Marrell is the best. I have some Skechers shoes for casual work, one or two Reebok when I go out on some icy days, they may swap. However, every time on atrial, Merrell is my top and only choice. Want to know my ultimate advice? You may be an active person who loves walking, running, hiking, climbing or biking. No matter which you love, as long as you’re going out on a wet or dry day, take Merrell with you! 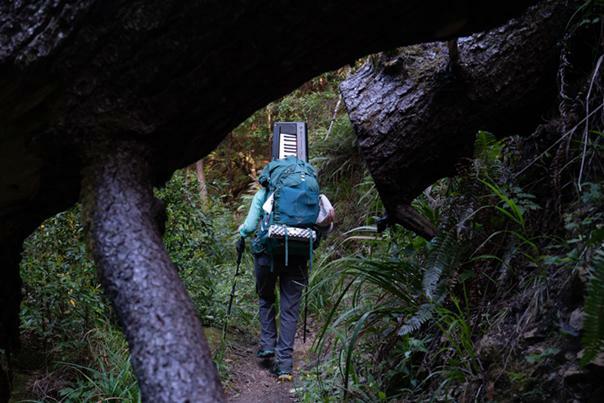 That’s what Merrell is meant to do. Overall, Merrell non-slip footwear is above good. They have a legendary slip resistance and a prolonged endurance. This can be confirmed by anyone who ever used Marrell on long walking trips. They are just 100% reliable! Their rubber water-resisting with dirt and debris release ability outsoles might not be essential in a warehouse or in a restaurant. But they are perfect on any outdoor terrains. And by saying “any outdoor terrains”, I mean every! Coasts, mountains, forests, swamps or any other places outdoor that you are planning to go to. Merrell is the true master of terrains. Their offered design and quality is superb. You will have many choices though their models are not unlimited (like Skechers). Though I love Merrell (so much), I can hardly wear them to work. Sometimes they are just too colourful and not very formal. *Shouting* TAKE MARRELL WITH YOU WHEN YOU’RE GOING OUT! 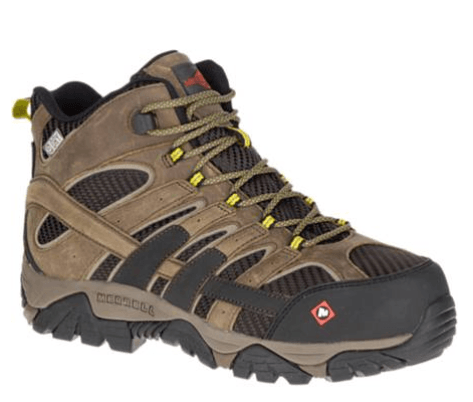 Seriously, you should not look for any other shoe brands for your hiking trip. Merrell is the top and the only-worth-considering one. 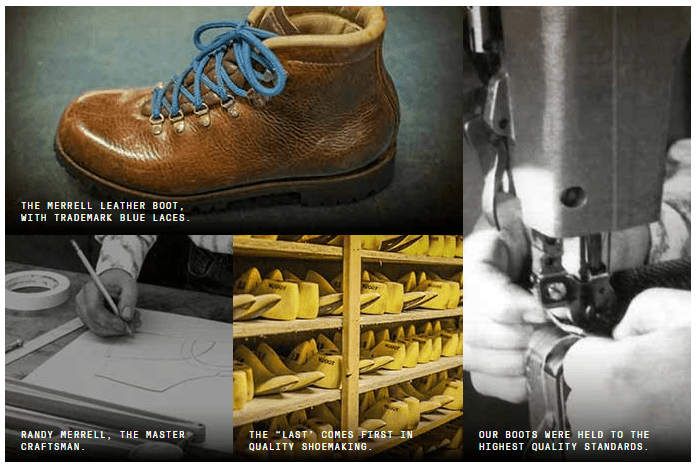 You can now start looking at their slip-resistant footwear site. You will have enough choices with various prices. Some may be reasonable (from $60.00), some may be a bit too high (up to $160.00). However, even the cheapest will give you a very comfortable non-slip trip! I bought $155 Moab 2 Vent Mid Waterproof Comp Toe Work Boot and I never regret. They worth every penny! Trust me and try one for you. Crocs is relatively unique. They sell shoes in the “Crocs” style. 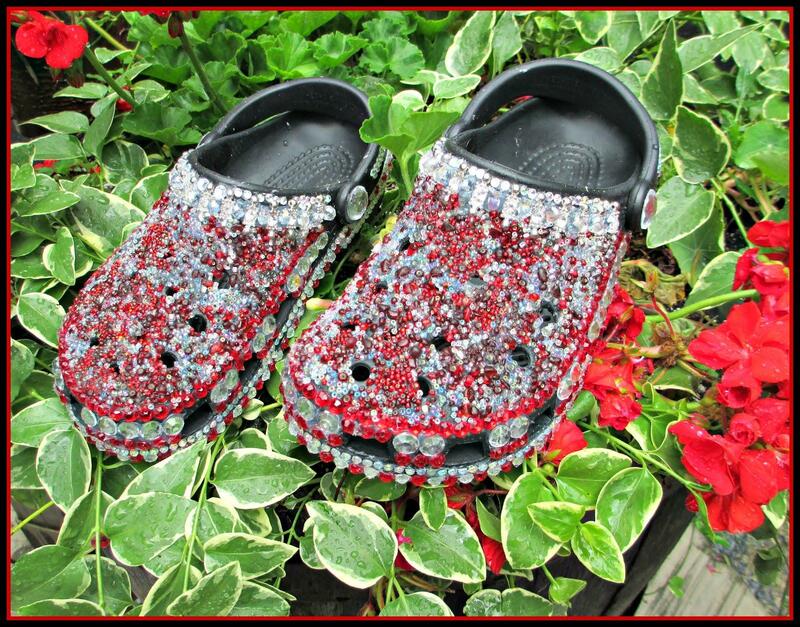 Fun fact: people call Crocs’ shoes “crocs” because “crocs” unambiguously refers to such special shoes offered by Crocs (Inc.). Think of Google. You may say “Google it” rather than “Search it on Google”. Clear? Because Google makes the best search engine and it has become more than popular, “google” has become a widely-accepted verb. “Crocs” has become a widely-accepted noun. This happened similarly. Not everyone likes crocs. Some may find them weird, some may find them extremely comfortable. 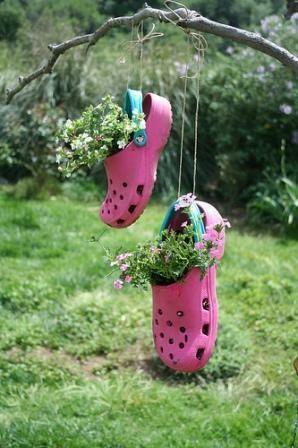 I have two pairs of crocs at home: One in my bathroom and one in my garden. I chose Crocs shoes totally due to their lightweight, comfort and slip resistance. I never slip while Crocs are on. In my opinion, Crocs bring a good enough slip resistance. They are not made to be used in the warehouse or for hiking, no. 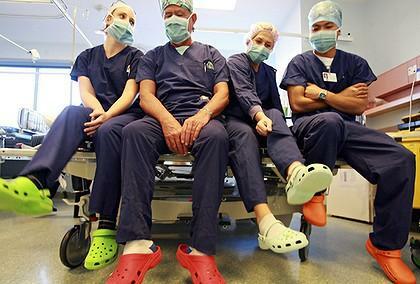 You can find a place where numerous Crocs are utilised, it is hospitals. With a good slip-resisting ability, good slip lock for your heels and specially-designed soles creating almost no sound when walking, Crocs are perfect for nurses and doctors. Slip-resisting and quite. That’s what I can say when thinking of Crocs. Comes to styles, you may not find many Crocs models. All series seem to be very similar with such unique design. Despite that, they are very well-made. You can feel an integrity when wearing any Crocs because the whole shoe is made from one material (true for almost all Crocs). It may be rubber or plastic. Both are comfortable and durable. 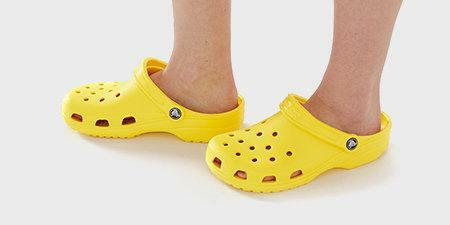 With the offered prices varying from $30 to $60, Crocs are totally affordable. In fact, I’m planning to buy 3 more pairs for my family. They are simply cheap, handy and effective, especially against the nightmare naming “Slip”! Don’t just look at Crocs’ score. It means that Crocs is not for everyone. Once you like Crocs, you will love Crocs. And you will stay with them for long and long!